45″ x 60″. 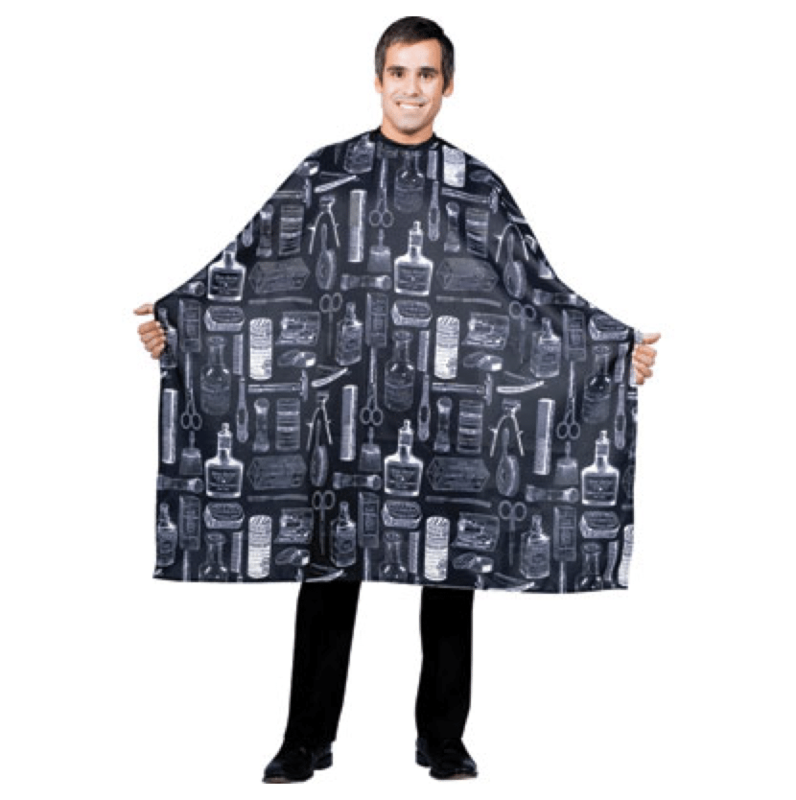 Lightweight polyester with old fashioned, barber-themed pattern. Snap closure and water resistant.